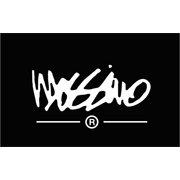 This is the slimmest pair of jeans in the Mossimo range! It sits low on the hips and grips the leg snugly from the thigh, right down through to the knee to a narrow leg opening. The skinny jean is made from stretch cotton/elastane denim which allows for a comfortable fit. This jean also features 5 pockets and a zip fly at the front.